The University of Oklahoma College of Dentistry prides itself on being among the nation's top clinical dental educational programs. In addition to a Doctor of Dental Surgery program, the College offers a Bachelor of Science degree in dental hygiene. The College also hosts graduate and residency programs in advanced general dentistry, orthodontics and periodontics, as well as oral and maxillofacial surgery. 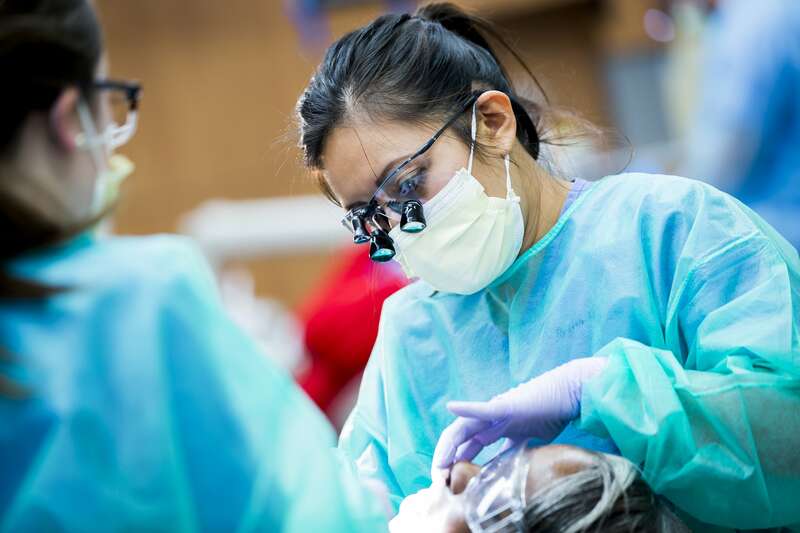 Each year, the College provides more than $200,000 in scholarships to dental and dental hygiene students. We are able to do this through the continued generosity of our alumni and friends of the College. Your gift, at any level, is an investment in the education of our future dental professionals. The College has been extremely blessed to have so many loyal and generous donors. Thank you for your continued support! Thank you for making the OU College of Dentistry a priority, and investing in our students. Each gift makes a tremendous impact on their lives and education. Every single gift in support of scholarship makes an impact for a dental student. A gift at this level can help provide students with required supplies for their educational career. A gift at this level can assist students in purchasing educational resources, like textbooks. A gift at this level allows students to broaden their education through research projects and externships. As a member of the Dean's Circle, your gift can support a student scholarship. NOTE: Gifts at this level will count towards your Dean's Circle Membership for FY17.